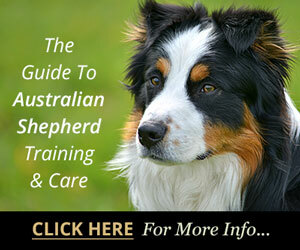 Puppy obedience training should be a significant part of any pet owner's routine. 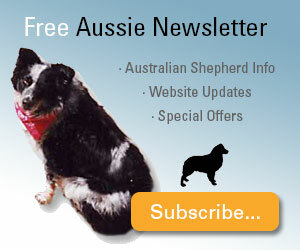 The sooner you begin instilling the right behavior in your pup, the better off you'll both be. 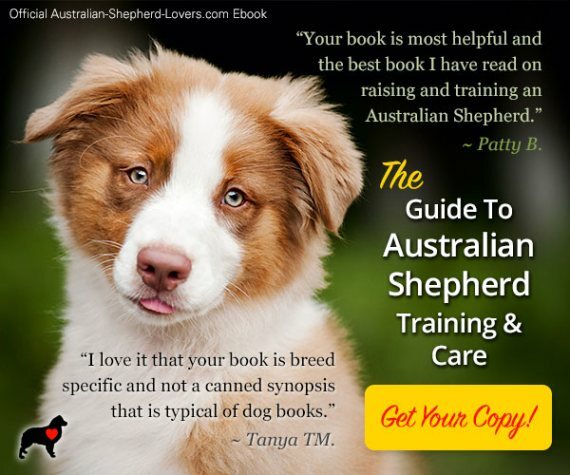 There are many different resources you can turn to for help training your puppy, from working with professional trainers to consulting training books, like our official Guide To Australian Shepherd Training & Care, to checking out websites that provide training tips. The key to training any dog is understanding the reasons for their unwanted behavior. Rather than just losing your patience, you need to form a bond with your puppy as early as possible so that he will know to heed your commands. That training can begin when your pup is as young as 8 weeks old and the sooner you begin to work on it the more successful it's likely to be. If you're like most dog owners then you've probably experienced a range of frustrating behaviors from peeing indoors to jumping on visitors to whining when you leave and even occasionally nipping. These behaviors are certainly unpleasant but they are rarely intentional. Like babies, puppies are naturally curious about their environment and learning their way around it. 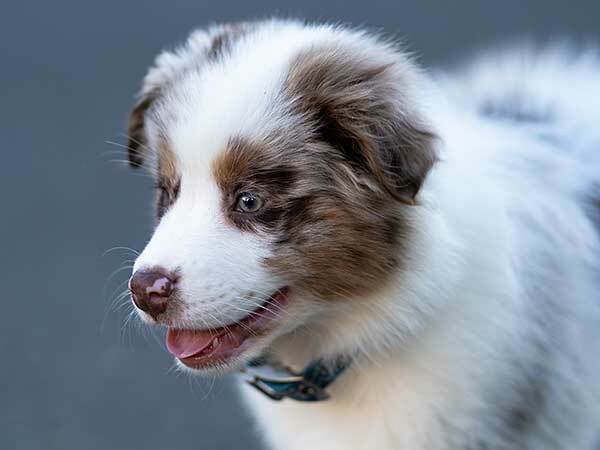 Puppy obedience training can help to guide both them and you through this process with minimal problems. Training begins the moment you first bring your puppy home. You need to immediately set up boundaries, giving him a safe place to retreat to. This is usually a crate (more about crate training your puppy here), outfitted with a warm blanket and a few toys, which gives him a place to feel secure. He should sleep in the crate at night but also have access to it during the day so that he can feel comforted and more secure. 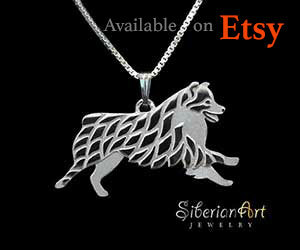 This way he'll be less stressed out and more open to learning from you. 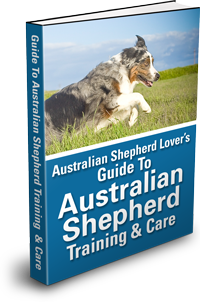 Start with our official ebook Guide To Australian Shepherd Training & Care. It was created by Aussie lovers for Aussie lovers. You can read this practical guide on any computer, tablet, or smartphone. Once you've established a "safe zone", puppy obedience training can begin in earnest. You can start by making sure that he has an acceptable place to relieve himself, whether out in the yard or on wee wee pads within his crate/pen setup. If he should range outside the acceptable areas, you need to gently reprimand him without traumatizing him. Setting up a regular schedule for taking him out can also help to alleviate this problem. The older he gets, the more you can work on learning specific commands such as "sit" and "stay" and establishing the behavior patterns that you ultimately want him to have. Remember that in order for these commands to stick, your pup needs to see you as his leader and feel confident and comfortable learning from you. Remaining calm and presenting a strong "alpha" presence will go a long way toward achieving this balance between the two of you. 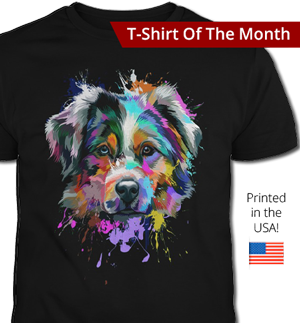 If you are a first time owner or just feel like you need assistance with your puppy obedience training, you don't have to spend hundreds of dollars. You can get help online from sites such as The Online Dog Trainer (TODT), which provides a program that helps train pups of any breed, including Australian Shepherds, with a unique set of easy to follow steps. Training can be easy whether your dog is a few weeks old or entering his difficult "teen" years…it's all a matter of finding a good program and following it. It can be an exciting and stressful time when you're raising a puppy but there is no reason why you can't help your pup through his growing pains. Look into the program at TODT and let Doggy Dan guide you through the process of training your puppy to become a happy, well-adjusted dog. 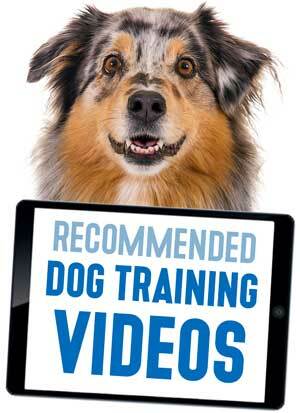 You can watch a video that introduces Doggy Dan and his approach to puppy training here.